MISSING YOU Genre: Techno - Tech House Release Date Exclusive Beatport : 29 July 2016 Catalogue : 10110256 :: Description :: "Missing You" with this single comes the great collaboration with by SEEDS aka George Acosta from North Miami Beach Florida USA Miami, with its live shows has always displayed the ultimate in electronic dance music. From techno, house to tech house and edm. 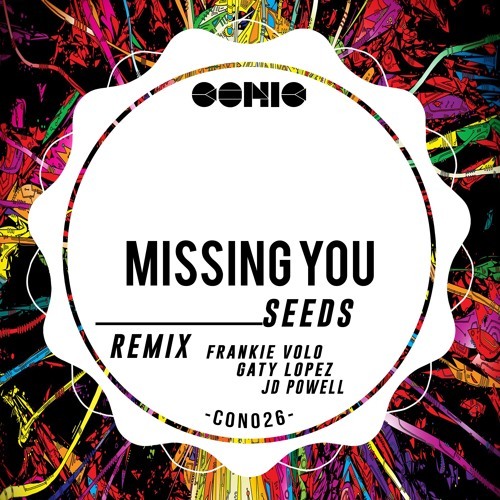 "Missing You" is a slick voice and aggressive techno with a familiar remix where, on the other hand,we Frankie Volo with Gaty Lopez and JD Powell, offers something really spectacular with the complete ingredients, in line with the sort of material that is heard across the more experimental of dancefloors worldwide.